My husband always likes to buy a bunch of candy canes to hang on the tree for Christmas. 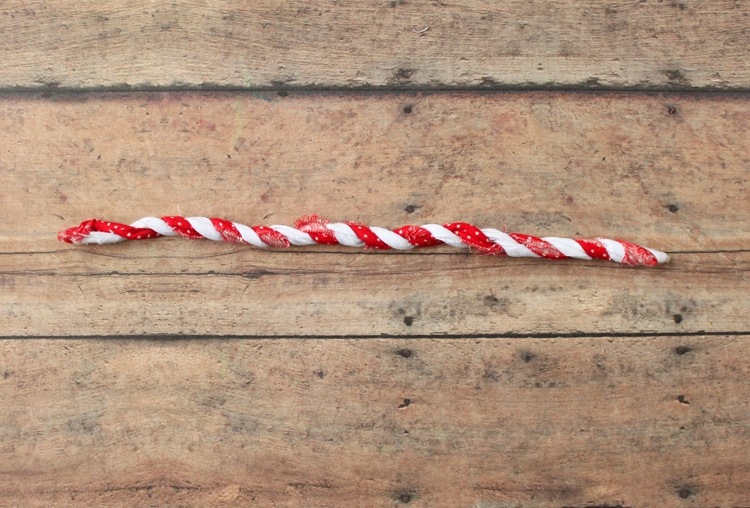 It’s fun for the kids, but I don’t like being left with a bunch of candy canes at the end of the holiday. 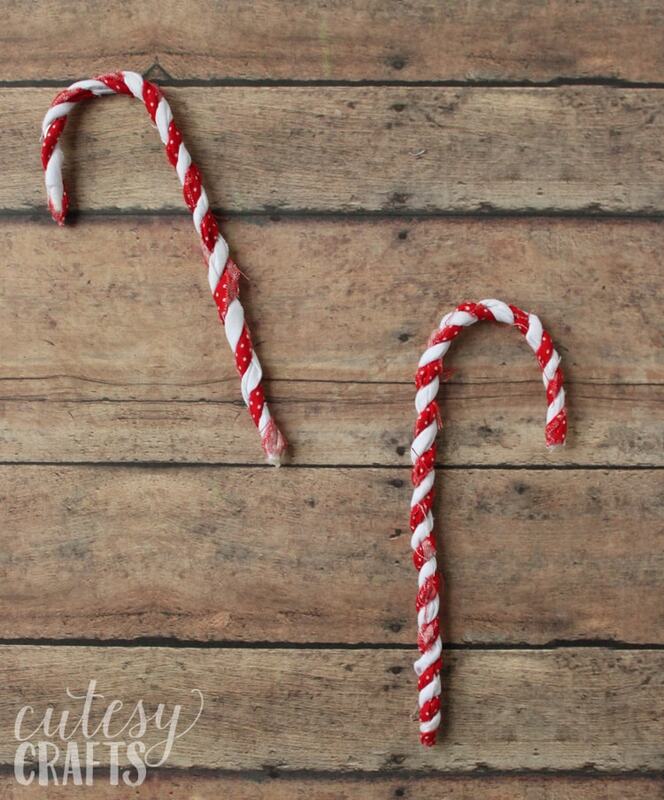 I’m not a huge fan of candy canes, otherwise I might feel differently. 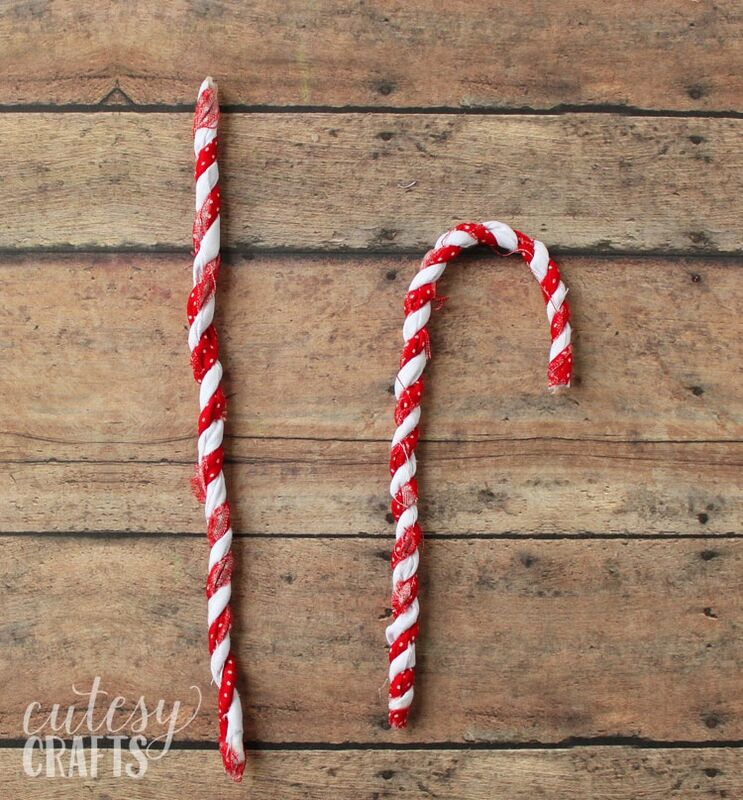 I thought it would be fun to make some out of fabric scraps, and I came up with these candy cane ornaments. Don’t worry, we will still get to put some real ones on the tree too. 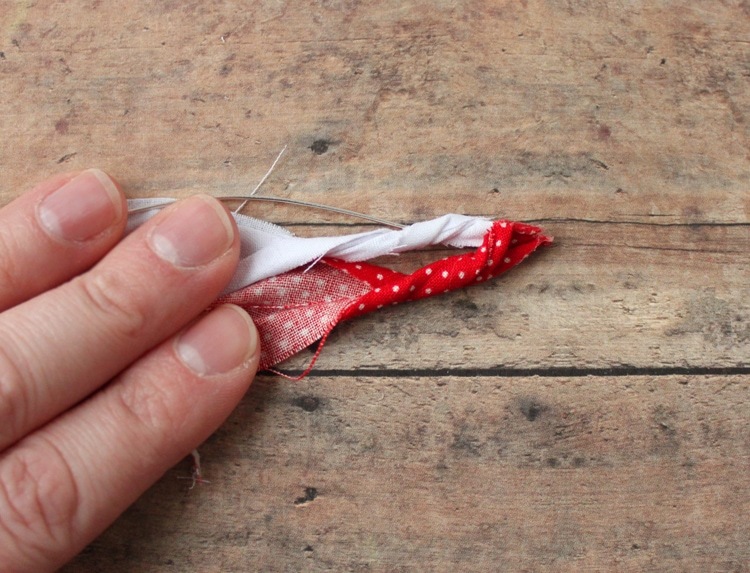 I admit that these are a little tricky to make at first, but once you get a rhythm going, it’s easier. 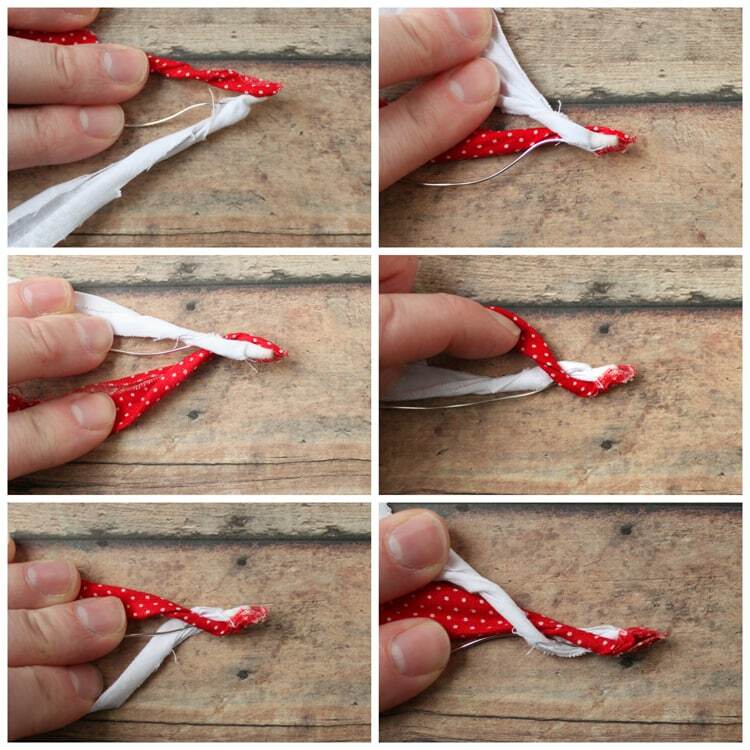 It’s similar to doing a rope braid, so if you know how to do that, you’re ahead of the game. 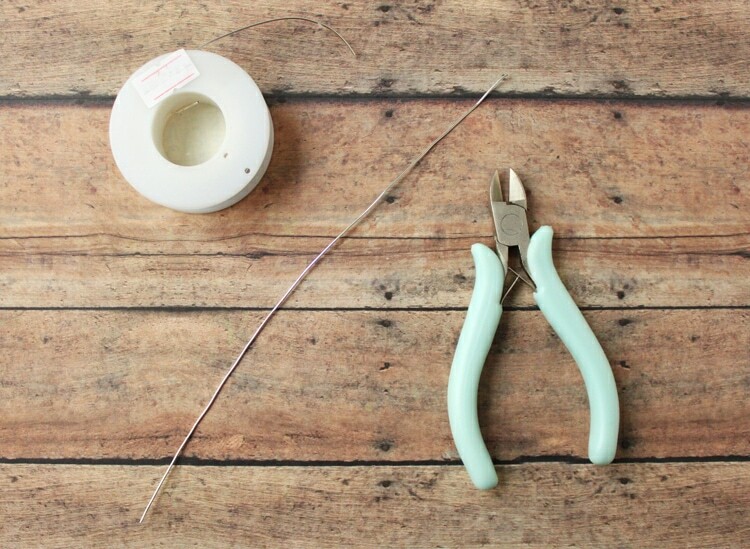 I’m not sure how thick this wire is since the spools aren’t labeled. Just make sure it’s something that will hold it’s shape being hung on the tree. 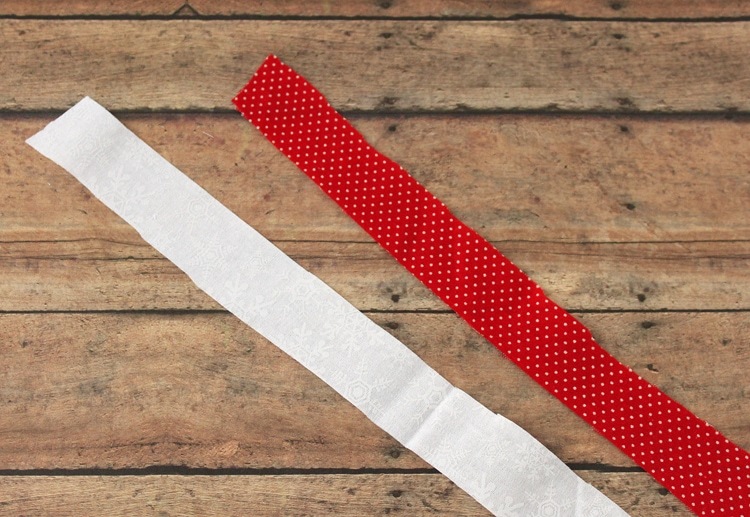 Cut a piece that is 7 inches long. Things will get a little tricky here, but I will do my best to explain. 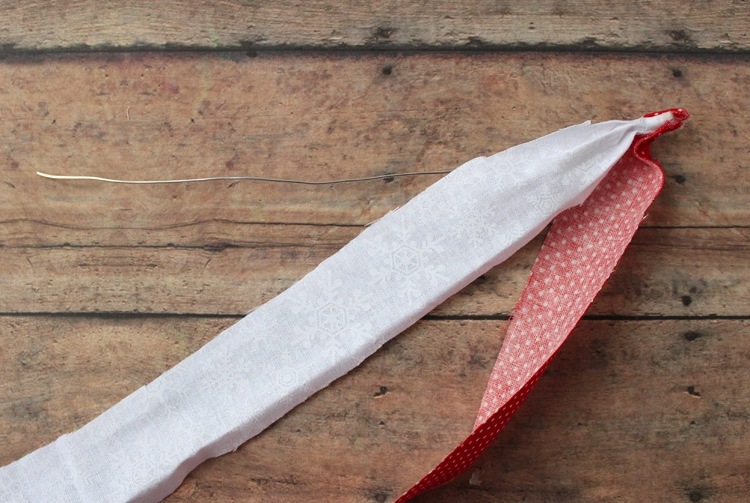 Start by twisting both the red and white fabric AWAY from the wire. In other words, the wire is on top in this photo, so twist down towards the bottom. 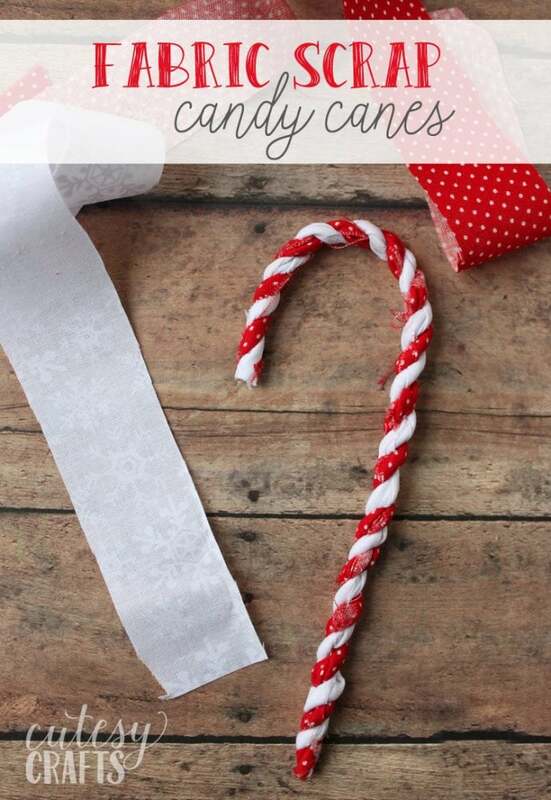 Now, all you have to do is bend the top over to make a candy cane shape. I love how they look hanging on the Christmas tree! 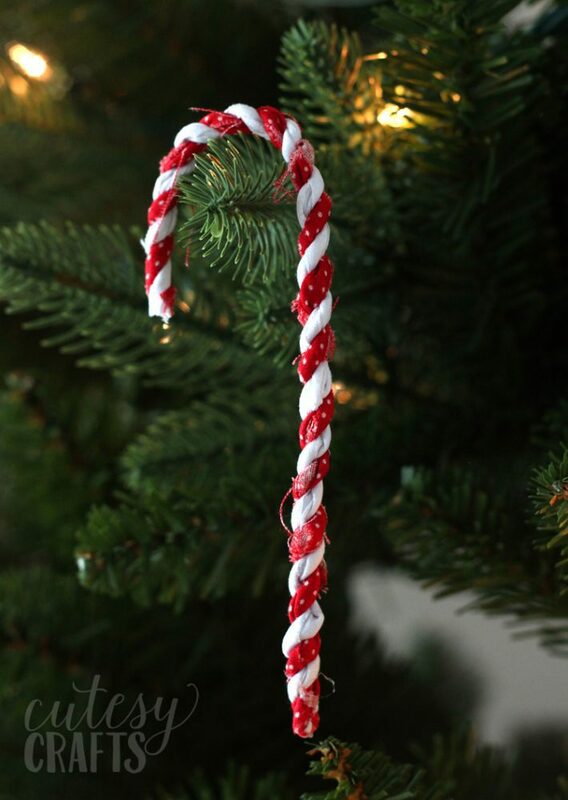 Hope you liked these candy cane ornaments! For more fun handmade Christmas ornaments, go here.